The Weeknd is a Canadian R&B/Soul singer who is heavily influenced by today’s hip-hop trap and lifestyle. I like to compare The Weeknd to a raunchier version of Michael Jackson because of his high voice, catchy melodies, and energetic dance moves when performing. The Weeknd has seen massive success in the music industry after a hit mixtape run in 2010. With several number one albums in the past few years, The Weeknd is easily one of the biggest artists of this generation. His last album, Starboy, was one of his most uplifting records yet, blending different pop sounds with electric funk. The Weeknd is back in 2018 with a new EP called My Dear Melancholy. The record only has six songs, which is why it is not considered a full-length album. The first song, “Call Out My Name,” will probably sound familiar to most of The Weeknd’s early fans— the song brings me back to his first run of mixtapes. It is a slow ballad with a swing drum pattern that we have all heard before. “Call Out My Name” does not stand out much simply because it does not bring much diversity to the EP. The next piece is called “Try Me,” and it is a big highlight for me. I love the crisp high-hat and the offbeat synth lead in the background as The Weeknd comes in with his high alto vocals. The hook on this song is also strong, featuring The Weeknd telling a woman to put her pride aside and give him a chance. Most of the songs on this EP are talking about women, which is expected from an R&B singer. The next track, “Wasted Times,” is the strongest point on this EP by far. The track starts off with The Weeknd bringing a very smooth melody that is catchy to the ear. The beat behind his vocals is a banger, but it is still soft and crisp. Again, The Weeknd is talking to a woman, saying that he still thinks about her and wants to be with her even though he has no business catching feelings for her since most women only want him when he’s winning. Everything about this track works, and that is why it is the highest point on the EP. “I Was Never There” is the cut on this record that is not a strong point on the EP. This track is just very plain, and I feel like I have heard it before. The instrumental is simply boring (aside from the background bell piano at the end of it). The Weeknd’s vocals are good but boring. This song sounds like a throwaway song from his 2010 album Trilogy. The next song on the EP is called “Hurt You,” and it is only a little more entertaining than the last track. The instrumental is a little poppy and sounds like it is straight from Starboy. In the song, The Weeknd laments about how he knows he is a womanizer and does not want to hurt the woman he is talking to. Overall, I think that The Weeknd put this EP out simply to feed his fanbase. He wanted to put some music out so that people know that he is not sleeping— he is working. This EP to me sounds more like his old music from 2010, and maybe he did that on purpose. The two songs I like on the record are great, but nothing unique. 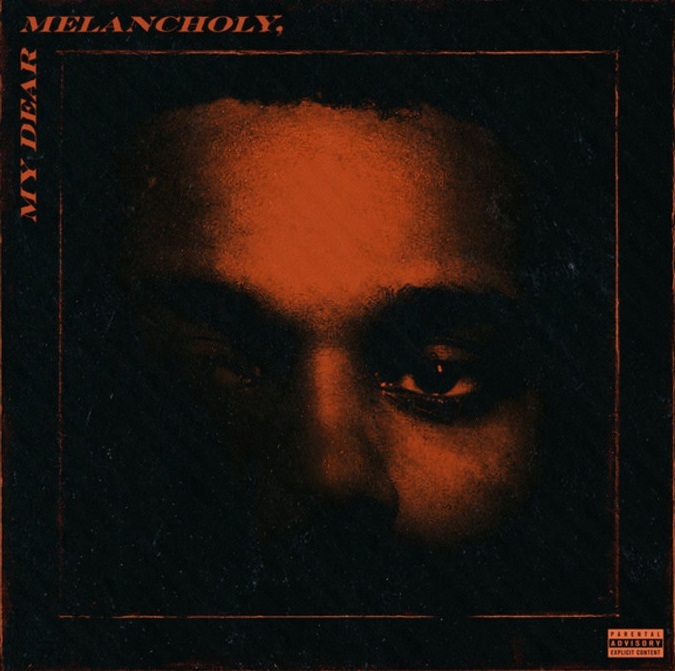 The Weeknd is known for putting out different sounds on each project, but I do not think he lived up to that with My Dear Melancholy.